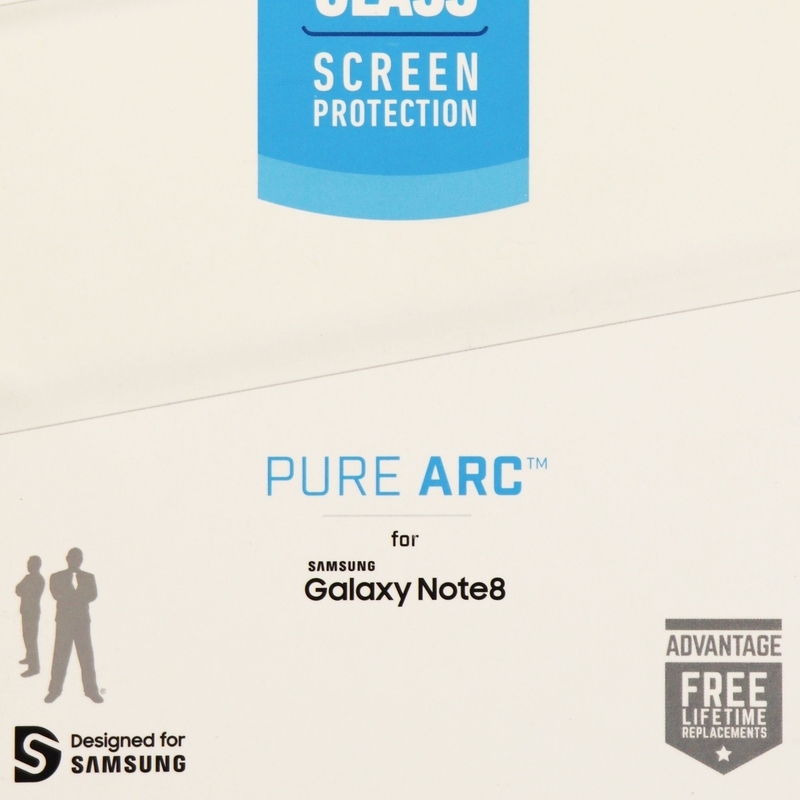 From BodyGuardz brand name screen protectors, The Pure Arc Series Tempered Glass Screen for the Samsung Galaxy Note8 smartphone. Clear finish with small black trim on the top and bottom that blend in with your device. 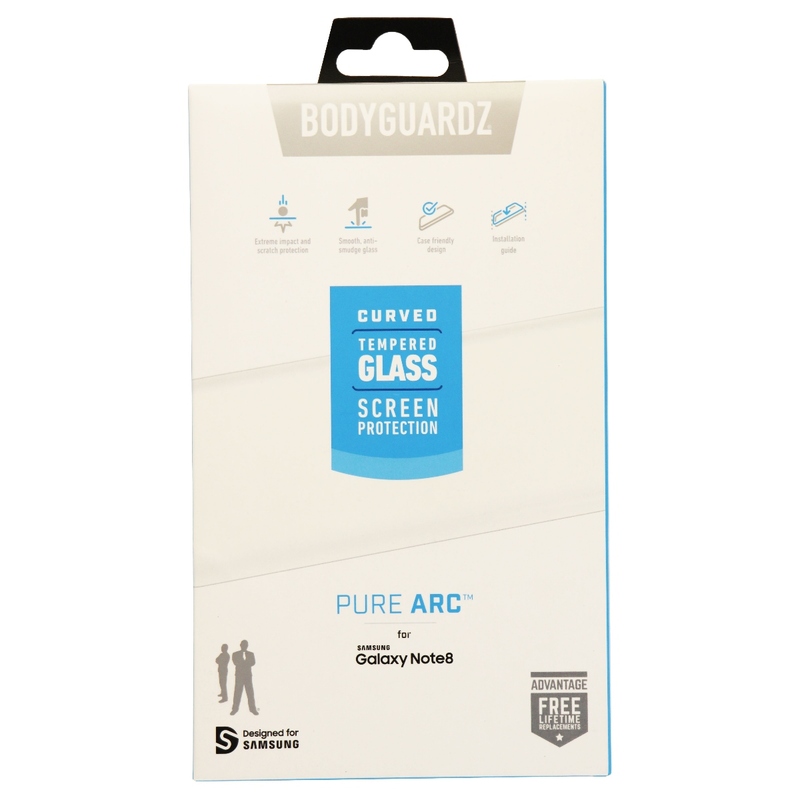 - Made from ion fortified tempered glass exceeding the hardness of steel, Bodyguardz Pure Arc represents the strongest glass protection in the industry. 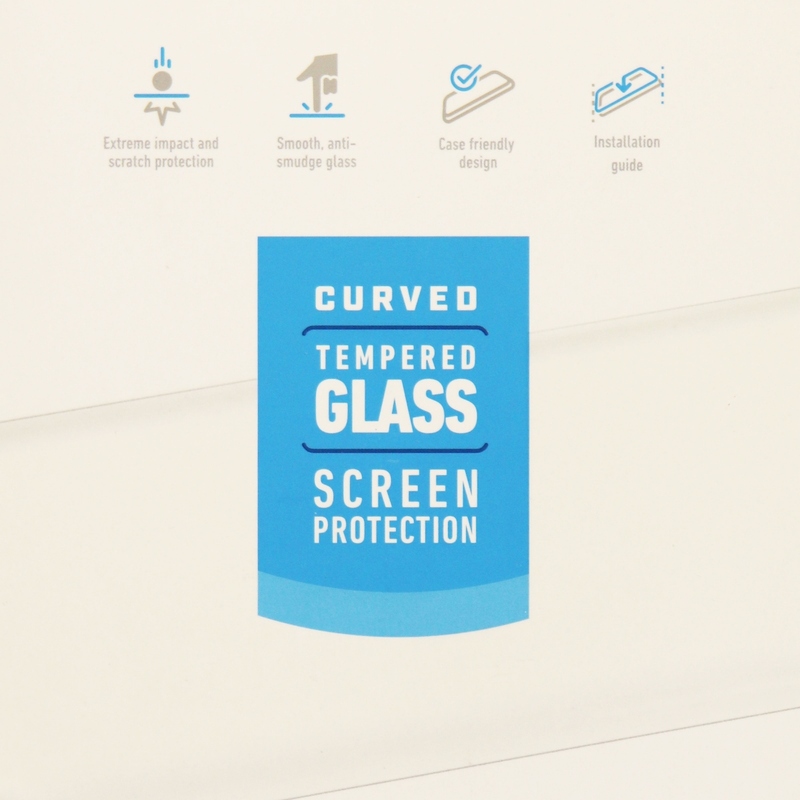 - Crystal clear and looks exactly like the devices screen and features an etched, matte surface that is the clearest anti-glare screen protector available. - Touch screen sensitivity is completely unaffected and operates exactly like the natural device and does not leave finger prints behind. Includes: Pure Arc tempered glass screen protector (1), Micro fiber cleaning cloth, Alcohol wipe / cleaner, and Installation instructions.